So in my rather pathetic attempt at trying to drop the engine (wanting to only do this by 1" or so to remove the water joint) I managed to break off one of the two pegs on the Lower Adjusting Bolt the Upper one came out fine (well not all the way but enough to free the spacer). 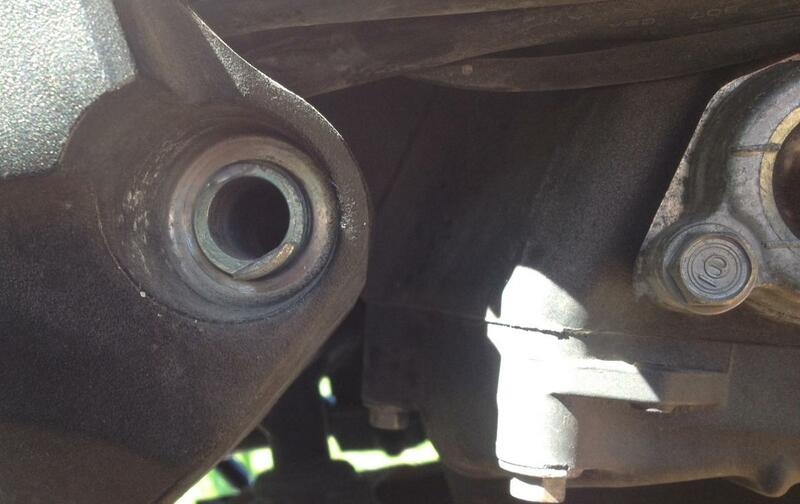 If I can not remove this is there likely to be some kind of vibration, chatter? 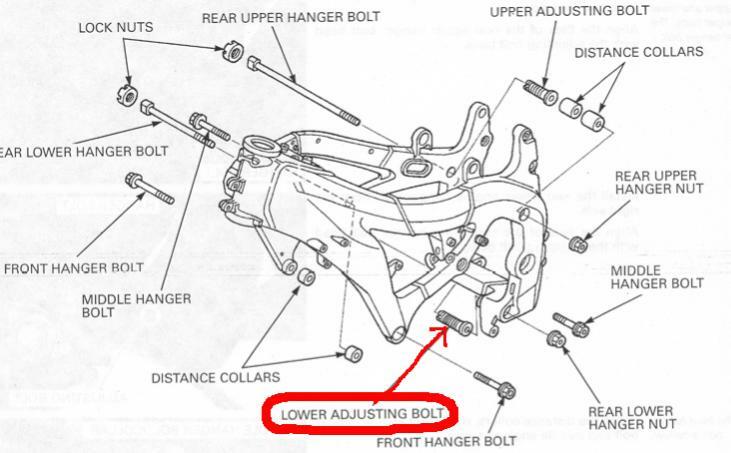 adjusting bolt: In an jam!